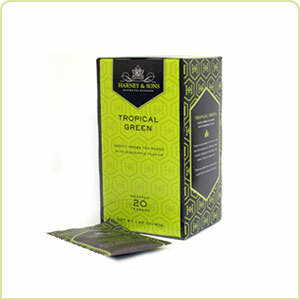 Harney & Son's Tropical Green Tea. Hand-blended green teas from India with marvelous tropical flavor - pineapple is the dominant flavor, and that's why we love it. Discover this fresh twist on traditional greens.